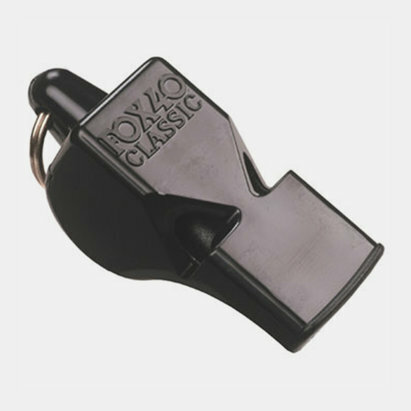 To be in control on the pitch you need to be heard, so for referees and coaches the perfect solution is the Classic Fox 40 Coaches/Referees Whistle. A simple yet practical plain black design disguises the power behind this whistle. The patented three-chamber design, with no moving parts, ensures flawless performance every time. The blast rises well above man-made and environmental noise and can even be heard over a mile away. Whether used for training or saved for match day, staying in control has never been so easy.